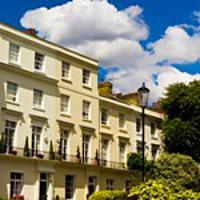 The number of new rental properties placed on the prime property market in central London the three months to July increased by almost 40% as rents fell by 4.1%, according to the latest index. The number of new prospective tenants also increased, up by 7.2%, while the number of tenancies agreed increased by a fifth and average gross prime yields were flat at 3.1%, the data from Knight Frank shows. ‘Transaction volumes remained strong in the prime central London lettings market in August, as rising supply kept the balance of power tipped in favour of tenants. Supply has increased steadily over the last year due to uncertainty over price growth in the sales market following a series of tax rises and, to a lesser extent, the potential impact of the UK’s decision to leave the European Union,’ said Tom Bill, head of London residential research at Knight Frank. The overall rise of new properties at 38.9% is regarded as a welcome sign of the market recovering from Brexit and the research also reveals that demand has grown among tenants who are opting to rent rather than pay increased levels of stamp duty until more certainty returns in the sales market. The report points out that as supply increases at a faster rate than demand, it means landlords have to show increased levels of flexibility when negotiating with tenants. ‘In addition to levels of rent, this includes flexibility around break clauses, works to the property, levels of furnishing and payment arrangements,’ Bill said. ‘The last time the balance of power was so firmly with the tenant in prime central London was in the immediate aftermath of the financial crisis, although demand is stronger now than it was in 2008 and 2009,’ he added. While annual rental value growth was down 4.1%, the lowest it has been since December 2009, the report shows that activity is stronger in lower price brackets and demand remains stronger for apartments than the family house market. Demand from corporate tenants also remains stronger than it was in 2015. August was a strong month in the super prime £5,000 plus per week market, with deal volumes up on the same month last year. However, Bill pointed out that due to the mood of cautious optimism returning to the sales market, some would be landlords plan to wait until later this year before renting out their property in the expectation that demand in the sales market will strengthen.